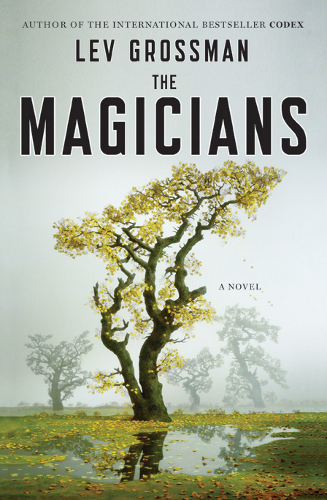 The Magicians by Lev Grossman was one of the best books I’ve read in 2009. Part Harry Potter coming-of-age tale of today’s dissolute youth, part homage to the Narnia styled fantasy adventure; the book was poignant with a hopeful-hopelessness that made it resonate deeply. I had to go on a ‘story fast’ for a couple of days after I put The Magicians down – I wanted the bittersweet taste of the tale to linger in my brain for a bit before washing it off with another one. Good books do that to me. So while I’m really excited to find out (very late) that there’s going to be a sequel to the story of Quentin Coldwater, (out Fall 2011, according to Grossman’s blog), I’m also apprehensive that it won’t live up to my expectations. The double-edged nature of the story was what made me love it so much. Would Grossman keep that fine balance in the sequel? Can he? Would it work if he didn’t? Do I even want to put myself through another emotionally draining book like the first one? Still, it’s nice to know that Grossman is making progress. Hopefully that means the book will be out next year and I can judge for myself.